Tickets onsale Wednesday 21st June at 9am. Support from All Our Exes Live In Texas (Aus) on all dates except London & Scotland. In the words of lead vocalist & songwriter Richie Prynne: “[Dirty Money] is about remembering that even though in today’s consumer-driven world, it’s easy to think that having enough money will make you happy. Happiness is a state of mind, not a collection of possessions or a certain number in your bank account. 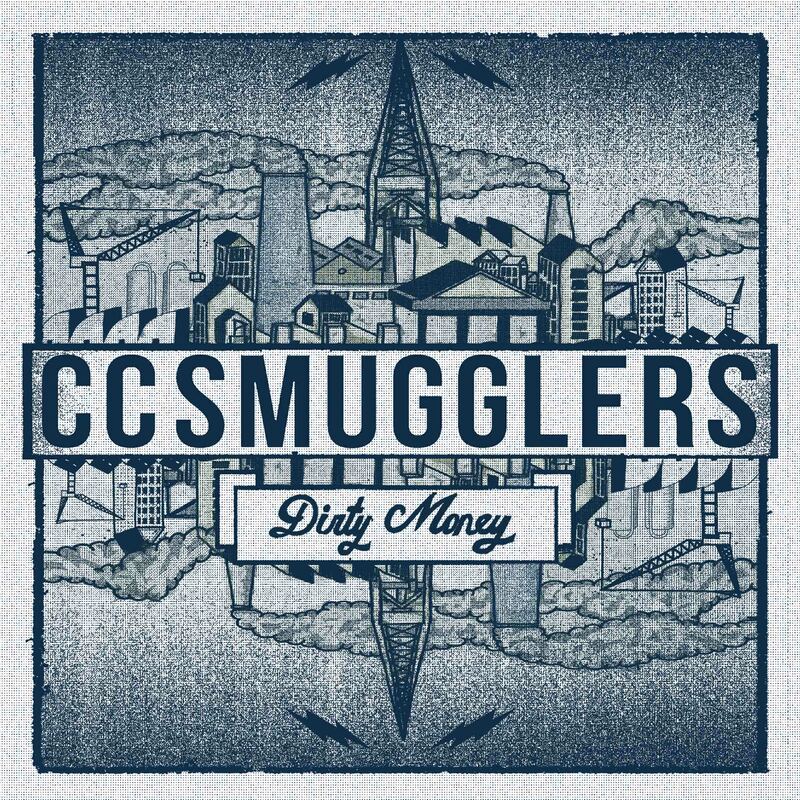 Bedfordshire-based band CC Smugglers started out as “guerrilla buskers”, hijacking queues waiting to see other artists, or commandeering underground trains and escalators. They got their big break by playing outside every UK tour date of the two-time Grammy Award-winning Old Crow Medicine Show. Not even a severed artery on his finger could stop frontman Richie Prynne – he delayed surgery to lead the six-piece on the audacious escapade. So impressed were the Old Crow Medicine Show with a “hugely engaging performance” (Sunday Times), they invited them to share their platform on the remaining dates. It was Richie who formed the band after busking alone for some years as a teenager. He enlisted the help of Dan Edwards (double bass) Ryan Thomas (lead guitar) and Sam Barrett (rhythm guitar and fiddle) who formed the Bedfordshire contingent of the band for several years. They were joined last year by Tom Seals (keys) and Iain Mcfarlane (drums) both accomplished young players: “Their influences have really allowed us to explore more contemporary challenging arrangements” said Richie, as is evident on recent single ‘Money’.